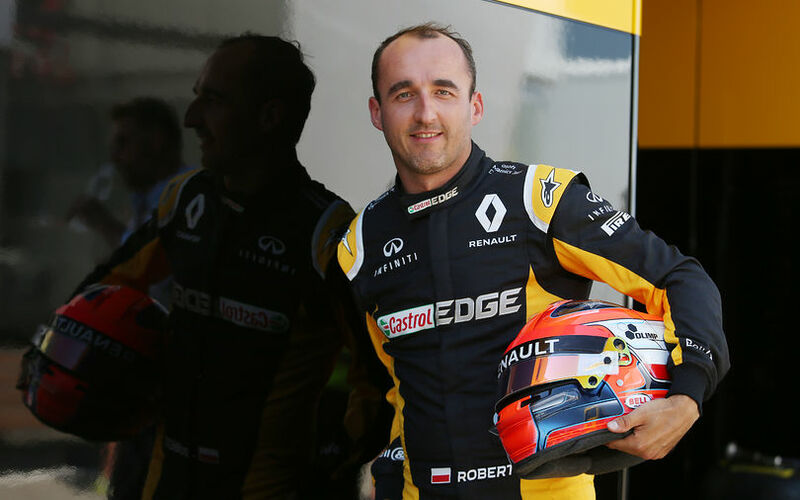 Former F1 driver Robert Kubica is on the verge of making a sensational return to Formula One after his recent test with the 2012-specification Renault F1 car. The current generation machinery is set to pose the ultimate test for the mobilty of his arms. The Polish driver Robert Kubica is set to try out the current-generation F1 cars during the second day of the post-race testing at the Hungaroring. The 32-year-old will drive the R.S. 17, Renault’s 2017 car. The road has been rather challenging for the Krakow-born driver to get behind the wheel of a F1 car again. In fact, it should have seemed to be impossible. Prior to Formula One, Kubica competed in the Italy, Eurocup and Brazil edition of the Formula Renault 2000 series, the Formula 3 Euro Series and secured the title in the Formula Renault 3.5 Series in 2005. After being the official test driver of the Renault F1 Team, he made his debut for the BMW Sauber F1 Team in 2006 for which he drove four seasons. For the 2010 Championship season, he joined the Renault F1 Team. In the winter testing for the 2011 campaign, Renault was tipped to make a big jump in performance and Kubica topped the timing sheet on the last day of testing in Valencia. After that test, the Pole travelled to Italy to compete in the Ronde di Andorra rally. Driving a Super 2000-specification Skoda Fabia, he left the road at high speed and crashed into the barrier at the first stage of the rally. Once at the scene, the medical rescue team worked on extricating the Pole from the car for more than an hour, before intense surgery could begin in hospital to study and repair his badly damaged right forearm and hand. Because of his hunger for racing, he wanted to return to motorsport, but the injuries hampered his return to single-seater racing. To calm his hunger, he started to compete in rally in 2013. Competing strongly in the European Rally Championship and the second category of the World Rally Championship, he completed 13 races in the World Rally Championship in 2014 and 11 rounds in 2015. Despite to promising pace, he had some huge accidents which prompted him to bring his rally adventure to an end after just one race in 2016. Last year, he tried out different racing series. In March, he took part in the Mugello 12 Hours in a GT3 Mercedes. In September, he raced in the Renault Sport Trophy in Spa. In November, he took part in a testing during the World Endurance Championship rookie test at Bahrain. He signed a contract with the ByKolles privateer LMP1 team, but the Polish driver announced before the season-opener that he will not be participating in the series. In May 2017, Kubica tested a Formula E car with the aim of participating in the New York ePrix. In June, Renault organized a private test for the Pole at the Ricardo Tormo Circuit in Valencia where he could complete a full race weekend simulation. The team sounded delighted with the outcome of the test. The first F1 car test proved to be a huge test for the mobility of arms as it was the first real outing in a rather narrow cockpit. However, the 2017-generation cars pose a greater challenging to the drivers with their huge cornering speed. Renault’s technical director Nick Chester sounded hopeful when he was asked about the chances of a possible comeback for the one-time GP winner. Kubica was having issues with his arms after his horrific accident back in 2011 which saw him partially sever his right arm. Chester said that Renault had to complete only minor modifications to the steering wheel and other parts of the car because the Pole has made significant progress with that over the years. Tomorrow will mark an important day for Kubica since a successful outing would significantly improve his chances for a sensational return to the pinnacle of motorsport. The Pole was following today’s action trackside, tomorrow’s test day will be his turn.